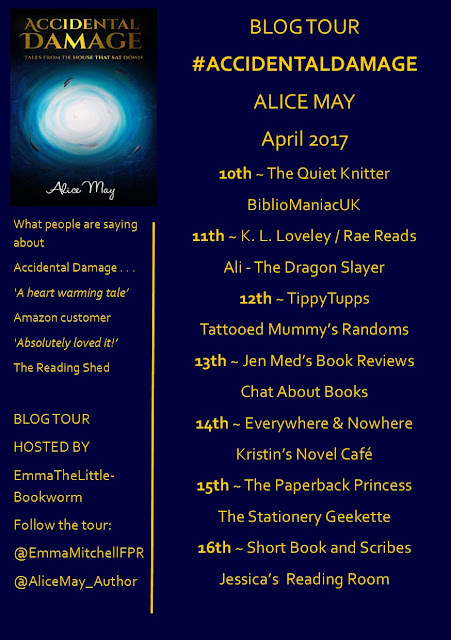 Today on the blog I'd like to welcome Alice May. She has written a book that went straight on to my GoodReads 'To Read' pile , and when you see the synopsis I think you'll understand why! 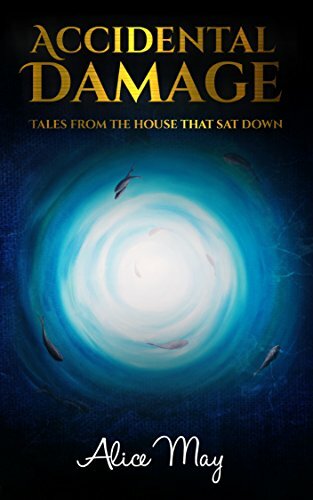 ‘Accidental Damage’ is the tale of a family of six (mum, dad and four kids) who suddenly find themselves homeless after their old cottage falls down completely out of the blue one day. With nowhere to go they are forced to move into a tent in the garden. The tent is supposed to be a temporary solution but then they find out that their house insurance policy doesn’t cover them and the tent becomes a more permanent fixture. 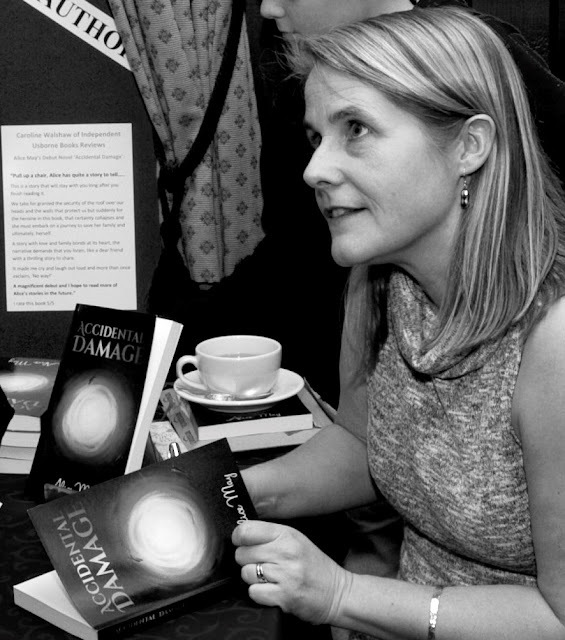 Told retrospectively from the mother’s point of view, ‘Accidental Damage’ is packed with both humorous anecdotes and brutally honest emotional reactions to what it is like to live in your garden whilst working out how you are going to rebuild your home. It is a tale of family love and loyalty, proving that if you pull together as a team and look after each other you can survive anything. Living in a tent! Yes dear reader a story I can get to grips with. I can't wait to read and discover if the family/tent relationship is love or hate, and will the family find out more about themselves than they expected? After all, living in a tent can give you lots of time to think about things in its limited confines. What's the worst advice you have ever received? Soppiness alert! My Beloved Husband is my hero. Just because! awww! Who would you like to star in the film of your life? Describe your best ever holiday. If I joined you on your perfect day, what would we be doing? What do you think is the best thing about social media? The best thing about social media is connecting people with similar interests and the opportunity to share knowledge. I totally agree! The worst thing is how much of the day can slip away if you are not careful to limit the time you spend on social media. (Also true, due to recent Twitter changes I'm on there less than before and have rediscovered reading!) As an author you need to be really firm with yourself or you find that all available writing time is used up scrolling through Facebook or Twitter and not finishing that next chapter you need to write.